With one successful workshop on the 3-Circle-Model, we would like to hold another one to give you the chance to work on your personal 3-Circle-Model and get the opportunity to discuss the findings with your fellow students. It's going to be another peer-to-peer workshop with a strong focus on interactions amongst all attendees. What is the 3-Circle-Model? 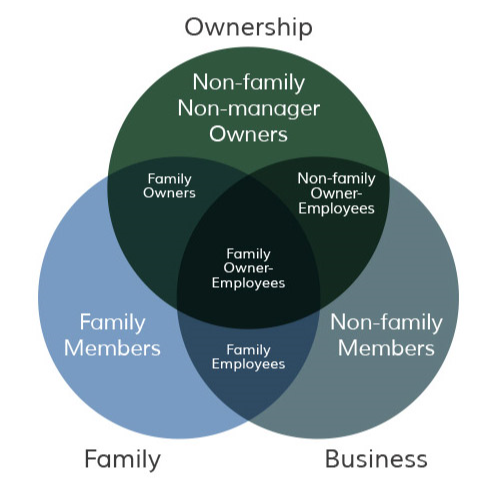 Invented by Harvard Professors Renato Tagiuri and John Davis in 1978, the 3-Circle-Model of the Family Business System divides the major (internal) stakeholders of a family business into seven interest groups. Please more information here.